Class II Officers Henchy III and Mehlar, according to the original paperwork released by the Township were hired at $14.00 per hour, as stated in the original employment advertisement. However, additional Personnel Action forms were released on Henchy III and Mehlar showed an increase to $20.00 per hour. We raised the issue of the discrepancy with Chief of Police Patrick Moran. In response to our request for clarification, Moran stated, "The advertisement was correct. However, because of their experience, the Officers were hired at a different rate reflective of such. The original personnel action forms were incorrect and I missed the mistake." 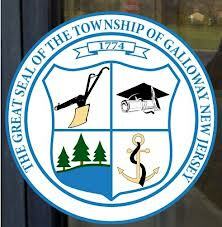 GallowayTwpNews.com has obtained Personnel Actions forms for the Township's latest employee hirings, raises, resignations and dismissals. The Township throughout the summer has hired Temporary Summer help for Camp and Public Works Department. The Township also hired part-time SLEO / Class II Police Officers for the Police Department. Each of the Class II Officers are set to earn $14.00 per hour. Crossing Guards were also hired for the upcoming 2013 - 2014 School Year. The Township also dismissed one Mechanic for unsatisfactory probation period. GallowayTwpNews.com has released the Personnel Action Forms as provided by the Township, below. We have also listed the names and positions of the employees hired, including salaries. Jack H. Keenan, III - Intern in Tax Assessment Department, hired as Part Time on May 21, 2013 at $10.00 per hour. Kelli Danieli - Deputy Township Clerk, received salary increase of $1,000 on May 20, 2013 for successfully passing the Municipal Finance Class for Registered Municipal Clerk Certification. Robert Henchy IV - Summer Help in Public Works, hired as seasonal temporary summer employee on May 22, 2013 for $9.00 per hour. Matthew Cassel - Mechanic, was dismissed with a unsatisfactory probationary period on May 30, 2013. Kimberly Albrecht - Summer Camp Director / Camp Support, hired as a Temporary Seasonal Position for June 10, 2013 to June 10, 2014 for $12.50 per hour. Kristen Polisano - Summer Camp Head Counselor, hired as Temporary Seasonal Full Time position for June 10, 2013 to June 10, 2014 for $11.25 per hour. Shayna L. Weber - Summer Camp Counselor, hired as Temporary Seasonal Full Time position for June 10, 2013 to August 30, 2013 for $9.25 per hour. Zach Shannon - Summer Camp Life Guard, hired as Temporary Seasonal Full Time position for June 10, 2013 to August 30, 2013 for $9.50 per hour. Courtney L. Deissler - Summer Camp Jr. Counselor, hired as Temporary Seasonal Full Time position for June 10, 2013 to August 30, 2013 for $8.00 per hour. Courtney Daniels - Summer Camp Jr. Counselor, hired as Temporary Seasonal Full Time position for June 10, 2013 to August 30, 2013 for $7.50 per hour. Amanda M. Bruffy - Summer Camp Counselor, hired as Temporary Seasonal Full Time position for June 10, 2013 to August 30, 2013 for $9.00 per hour. Alexa Sepulveda - Summer Camp Jr. Counselor, hired as Temporary Seasonal Full Time position for June 10, 2013 to August 30, 2013 for $7.50 per hour. John T. White - Summer Camp Substitute Counselor, hired as Temporary Seasonal Full Time position for June 10, 2013 to August 30, 2013 for $11.00 per hour. Nicole Polisano - Summer Camp Substitute Counselor, hired as Temporary Seasonal Full Time position for June 10, 2013 to August 30, 2013 for $10.00 per hour. Ashley McMahon - Summer Camp Substitute Counselor / Life Guard, hired as Temporary Seasonal Full Time position for June 10, 2013 to August 30, 2013 for $9.25 per hour. Jessica Rae - Summer Camp Substitute Counselor, hired as Temporary Seasonal Full Time position for June 10, 2013 to June 10, 2014 for $11.00 per hour. Cheryl Prakash - Executive Assistant, hired on May 20, 2013 for a salary of $31,000 a year. Shawn Chase - Temporary Summer Help, hired on June 19, 2013, hired as Temporary Seasonal in the Public Works Department for $9.00 per hour. Kristen Manning - Accountant, resignation on June 7, 2013. Zachary Lahr - Temporary Summer Help, hired on June 19, 2013, hired as Temporary Seasonal in the Public Works Department for $9.00 per hour. David Munford - Mechanic, hired on June 19, 2013 for 25-hours a week, hired as part-time Mechanic for $10.00 per hour. Miche Desrosiers - Temporary Summer Help, hired on June 24, 2013, hired as Temporary Seasonal in the Utilities Department for $9.00 per hour. James J. Mulholland - SLEO, hired on June 24, 2013. Part-Time Class II Police Officer for the GTPD for $14.00 per hour. Robert L. Henchy III - SLEO, hired on July 12, 2013. Part-Time Class II Police Officer for the GTPD for $14.00 per hour. Kyle D. Kuhar - SLEO, hired on July 12, 2013. Part-Time Class II Police Officer for the GTPD for $14.00 per hour. Michael K. Mehler - SLEO, hired on July 12, 2013. Part-Time Class II Police Officer for the GTPD for $14.00 per hour. Galloway Council, Chief, Anyone listening, we need more COPS on the street. Cut back somewhere else and HIRE more COPS. That should be a priority right now.